You can watch Rachel Banham play against Maryland Feb. 28 at 5 p.m. on ESPN2. Rachel Banham is the University of Minnesota super senior who has been raining three-pointers down on her opponents from way beyond the arc all season long. She’s been averaging 27.5 points a game this season, but didn’t really catch the women’s basketball world’s attention until her 60-point performance in double overtime keyed Minnesota’s 112-106 win over Northwestern Feb. 7. She followed that up with a 52-point game (in a losing effort) against Michigan State a few days later. 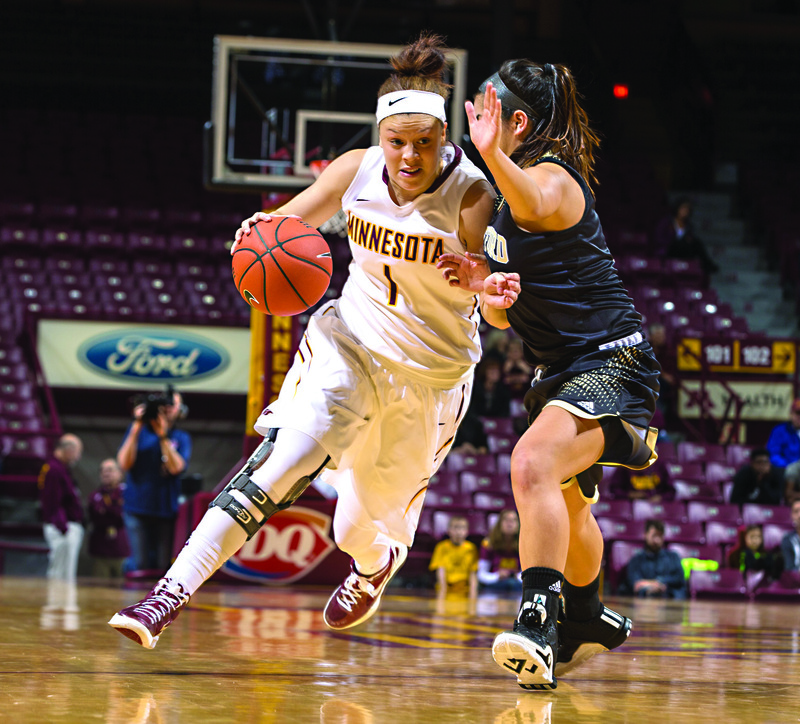 This week, her 35 points helped the Gophers upset no. 5 Ohio State in overtime, though she fouled out before the overtime. Following up those performances, WNBA star Elena Delle Donna praised Banham for her shooting prowess, (she shoots more than 40 percent from the three-point arc) especially given the fact that she’s not even 6-feet tall. Kobe Bryant also weighed in on Banham’s game after she tweeted him on a lark, asking what he thought of her 60-point night. In his congratulatory tweet, he predicted she’d score 60 again. When asked by reporters the next day about his Twitter exchange with Banham, he praised her ability to create her own shot despite defenses keying in on her. The sad thing is that, as exciting as she is, Banham won’t be able to showcase her game during the NCAA tournament, simply because Minnesota isn’t likely to make the tournament. The Gophers’ RPI ranking, which the NCAA uses to determine which “at-large” teams make it into the round of 64, puts Minnesota at #70 (though their win over the Buckeyes will move them up a few places, and a win against Maryland Sunday would as well). The RPI is calculated based on wins and losses at home and on the road, as well as the strength of a team’s and its opponents’ schedules. The only way Minnesota could assure itself a spot in the tournament is by winning its conference. (That’s why a team like Montana State will get its ticket punched, even though its RPI is 163). But Minnesota is fourth in the Big 10, behind Maryland, Michigan State and Ohio State, so the Gophers appear to be running out of time to earn an automatic bid. Whether the Gophers make it to the big dance or not, Banham’s accomplishments will likely get a bigger showcase in the WNBA. 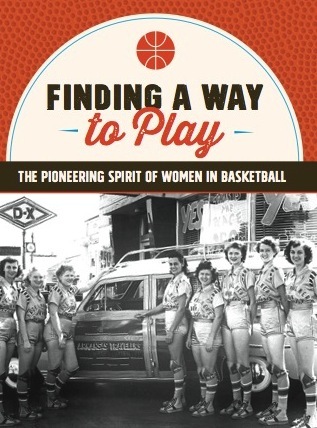 Because of her recent success, (not to mention the shout-outs from Delle Donna and Bryant), her stock is rising in the WNBA draft, which takes place on April 14 at Mohegan Sun in Connecticut. One mock draft prognosticator has moved her up to number 3, behind UConn’s Breanna Stewart and Moriah Jefferson, and right in front of UConn’s Morgan Tuck. The WNBA’s Connecticut Sun have the third and the fourth picks, and the Sun could certainly use a scorer. Will Banham make an impact in the WNBA? Or will she be a marginal success like other collegiate super shooters such as Jackie Stiles and Cindy Blodgett? To be fair, Stiles, who scored more than 3,000 points for Missouri State University, was actually the WNBA Rookie of the Year in 2002, but her career was cut short by injury. Blodgett, a UMaine grad, was drafted #6 in 1996, but she had difficulty mixing it up against bigger, taller guards during her four seasons in the WNBA. Banham is only 5-9, but she may be more of a complete player than most traditional scoring machines. During her junior year, which was cut short by an ACL tear, WNBA scouts were citing her “combo guard skills,” her leadership ability and her assists to turnover stats as evidence that she is far from a one-dimensional player. Bonham did not play last year as she recovered from her ACL tear, but she has come back stronger than ever. So for now, we’ll have to settle for YouTube highlights and a few appearances on ESPN2 between now and the end of the regular season. But it will be fun to see Banham test her mettle in the WNBA beginning next May.